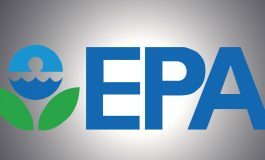 the U.S. Environmental Protection Agency (EPA) announced that the City of Madison, Wisconsin, Vermont Department of Environmental Conservation, and Washington State University’s Energy Program have been selected to receive funding for projects to help reduce food waste and loss and divert food waste from landfills by expanding anaerobic digester capacity in the United States. These projects further the federal government’s efforts set forth in the Winning on Reducing Food Waste Initiative. Anaerobic digestion is a process used in waste management to break down organic materials such as food waste, scraps, manure and sewage sludge that could otherwise contribute to methane emissions in landfills. Through this process, food waste gets a second useful life as renewable energy, fertilizers and soil additives. The city of Madison, Wisconsin has been selected to receive $39,000 of EPA funds to assess the feasibility of developing a regional organic waste collection program for the city and surrounding communities in Dane County. If deemed viable, this organic waste collection program and digestion facility could create biogas and compost from organic materials that are discarded by households, restaurants and grocery stores. The Vermont Department of Environmental Conservation has been selected to receive $43,551 of EPA funds to purchase and install storage tanks and pipes and conduct wastewater sampling for five food and beverage businesses. This infrastructure will enable these businesses to anaerobically digest their organic waste. The Washington State University’s Energy Program has been selected to receive $27,500 of EPA funds to conduct workshops in Washington state that promote anaerobic digestion projects by wastewater treatment facilities, food processing companies, municipal solid waste agencies, and agriculture producers. The workshops will include detailed market knowledge and innovative approaches to sharing costs in developing anaerobic digestion infrastructure.